Leave it to Don James to plan his memorial service down to the minute. Or attempt to, anyway. Four days before his Oct. 20 death, the legendary University of Washington football coach was auditioning songs in his home with a live performance from the musical trio that would play at his service. James, known for his meticulous attention to detail in his 18 seasons as the Huskies’ coach, had planned for a one-hour memorial service. Instead, it took two hours for family, friends, former players and coaches to share memories and tributes to James on Sunday afternoon. 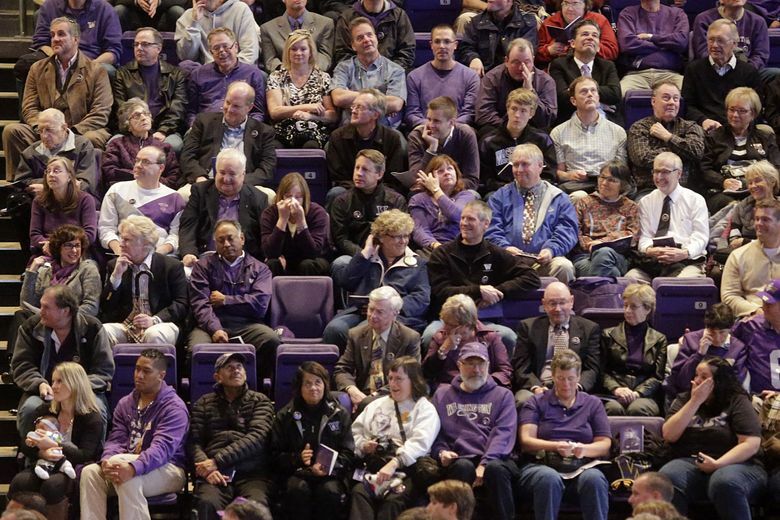 “It’s virtually impossible in three minutes of time that I can share 43 years of close association (with James),” said former UW athletic director Mike Lude, alluding to the time James had intended to limit each speaker. 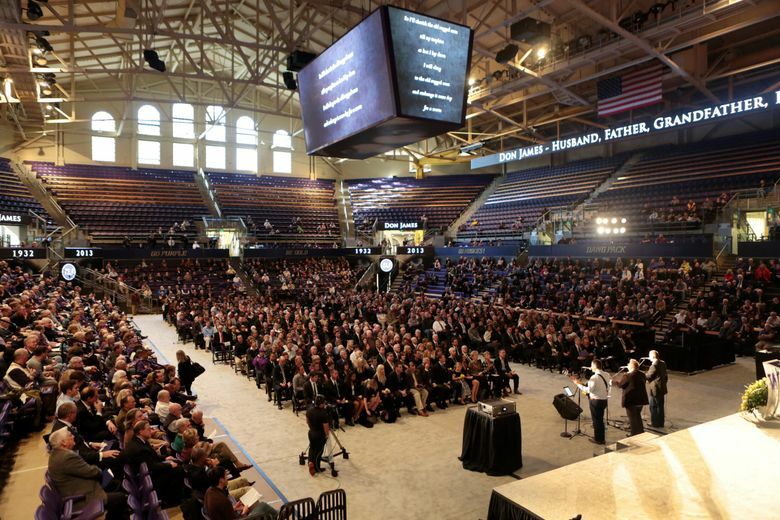 The loquacious Lude didn’t follow along with the plan, instead offering a touching, 11-minute remembrance of his best friend before an audience of several thousand inside Alaska Airlines Arena on the UW campus. James’ wife of 61 years, Carol, sat in the front row, along with her three children and 10 grandchildren, one week after The Dawgfather’s death at age 80. Other featured speakers included James’ daughter Jill Woodruff and grandson Jeffrey James; James’ close friend Sam Wick; former UW players Michael Jackson and Chuck Nelson; Missouri coach Gary Pinkel, a former UW assistant; and UW coach Steve Sarkisian. Jackson, a linebacker from Pasco, noted proudly that he was the first player James recruited when the new coach arrived at UW before the 1975 season. James retired in 1993 as the winningest coach in UW history, with six Rose Bowl appearances and a share of the 1991 national championship. Pinkel, who played for James at Kent State in the early 1970s before joining James’ staff at UW, talked about the responsibility he feels to carry on James’ legacy with his teams at Missouri. “He is one of the most successful men with the most humility I’ve ever met in my life,” Pinkel said. Alabama coach Nick Saban, who played for James at Kent State, also taped a short tribute that was played at the service. Woodruff spoke of her father’s legacy as a devoted family man. She said he had tackled the last challenge of his life, pancreatic cancer, with the same “systematic” manner that made him a Hall of Fame coach: He came up with a game plan and adjusted accordingly as each day unfolded. In James’ final moments, surrounded by family at his Kirkland home, Woodruff read Scripture to her dad from John 11:25. 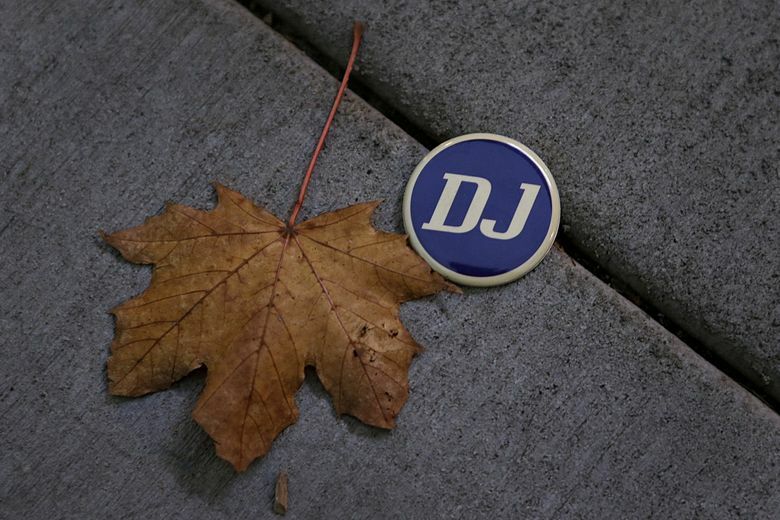 As she read, Don James died at 11:25 a.m., Sunday, Oct. 20, 2013. Adam Jude: 206-464-2364 or ajude@seattletimes.com. On Twitter: @a_jude.